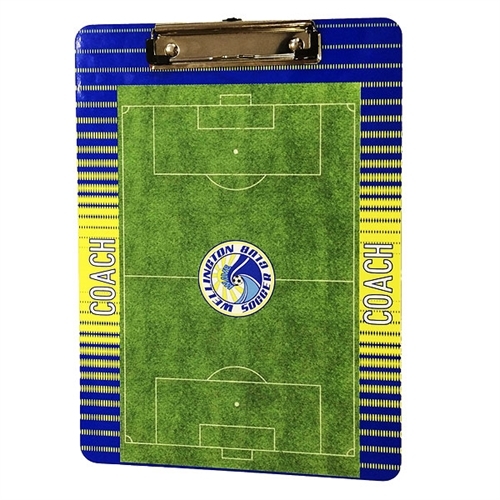 Clipboard is made out of durable plastic and will not warp in wet conditions. Dry Erasable Marker NOT Included. 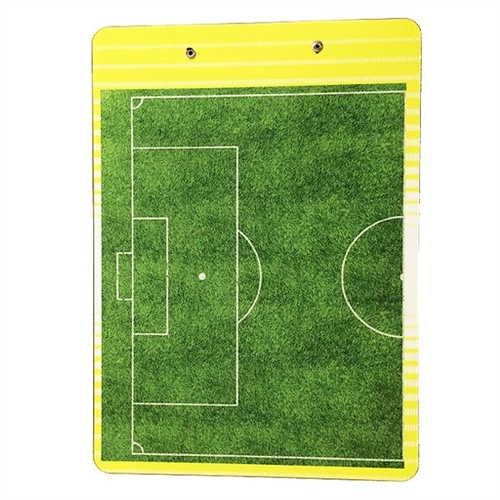 The board is 1/8"x 9"x 12.5"
Our Custom Soccer Clipboard contains image of full field on the front, and 18 yard box on the back for play making. Add coaches, team name, or even team logo to it, perfect for gifts! Colors will be reversed for the back of Clipboard.